Well, let’s take a deep dive into our competitive edges and find out. Yeastar Cloud PBX Platform boasts the multi-instance infrastructure, which makes sure the separation of different customers’ data, reduces possibilities for a large number of customers to be affected by a system outage and allows for greater flexibility and control of configuration, customization, and upgrades. When it comes to multi-tenancy, some inherited shortcomings just cannot be ignored. It is potentially a less secure environment and requires more development resources. Not the case for multi-instance architecture. Hosted PBX providers can create virtual PBX through YMP, a robust management plane, with just a few clicks, which greatly reduces their workload and elevate efficiency. In the meantime, the real-time performance including active calls, data transfer speed, network speed, CPU usage, memory usage, and local disk usage can all be monitored in YMP. You can bring your own infrastructure and deploy YMP in cloud service platforms or in the data center and we take charge of the installation. Or if you do not want to prepare any server, we also provide a turnkey solution to ensure the fast time-to-market. Though boasting scalability, many of our competitors actually only offer the fixed number of extensions and concurrent calls. We would like to highlight that our offering is a real customized solution. System capacity including the number of extensions and concurrent calls can be scaled both up and down in YMP with just a few clicks. Therefore, you can craft bespoke hosted PBX solutions according to customer needs, and your customers have a cloud phone system that grows with them. Separate license fees for features reduced the agility in responding to changing business requirements. We don’t charge for features or limit usability. It’s all about extensions and concurrent calls. There’s no extra charges or hidden fees for IVR, Conference, Queue or any other features. We leave telcos complete freedom to offer simple (per seat, per month) pricing models to their customers. Even in our free trial, you have access to the full feature set and complete freedom to test them out. 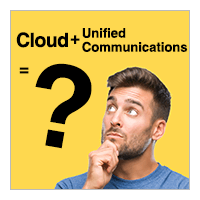 Linkus is a unified communications app supported by Yeastar Cloud PBX. With Linkus, all the features of a desk phone can be realized by your mobile device and desktop. Available using Microsoft Windows, iOS, and Android, it makes real-time communication easy across multiple devices. IM, Presence, CRM Integration and other collaboration features are at your disposal. How to manage customers’ PBX remotely and provide timely technical support is always the pain point for telcos. With end users and resellers in mind, our virtual PBX supports Remote Management so that resellers can easily manage their customer premised PBX to address any technical issues. Therefore, as mentioned above, if you are to resell Yeastar Cloud PBX, all you need is a web browser to get started, and you even get an effective tool to monetize the support service. Convincing enough? You can experience Yeastar Cloud PBX for free and explore more yourself. 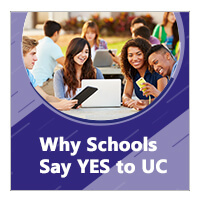 Why Schools Say YES to Unified Communications?